14-15 October 2016 in Hamburg, Germany will host the first Specialized Exhibition and Conference Age of Drones with deep focus on drone cinematography. Drone cinematography is now the new development stage of the filmmaking industry. A drone, costing just a few thousand dollars can deliver a high wow-factor shots that were impossible to get before, or could only be captured using expensive cranes, stabilizing equipment, and a manned helicopter. It is expected that less than in 10 years market value of drones industry will be estimated in $90 billion. This growing industry is one of the most attractive for investments, especially European market. 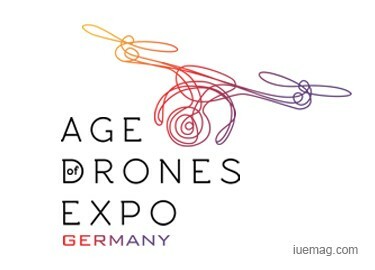 The Age of Drones Expo - is a business platform, unique in bringing together worldwide companies from the entire Drones supply chain with customers and end-users in Schuppen 52 Hamburg Expo Center. This event provided opportunities for new international cooperation that will have a tremendous impact on the business. The two-day event will feature an exhibit hall displaying a variety of drones and accessories for commercial applications in cinematography and photography. The first day of an expo will give great opportunities for key manufactures, distributors, resellers of UAS as well as cinema and production studious to expand business connections, and share working experience with each other. Moreover, all participants will have a chance to visit specialized conference and find out the very latest news and trends of drones market. The second day is open for general public. All visitors of Age of Drones Expo will have opportunity to enjoy special entertainment program, to see the very latest technologies and to meet leading experts in the drone cinematography industry. Join the largest commercial specialized drone exhibition and conference! Any facts, figures or references stated here are made by the author & don't reflect the endorsement of iU at all times unless otherwise drafted by official staff at iU. This article was first published here on 18th June 2016.